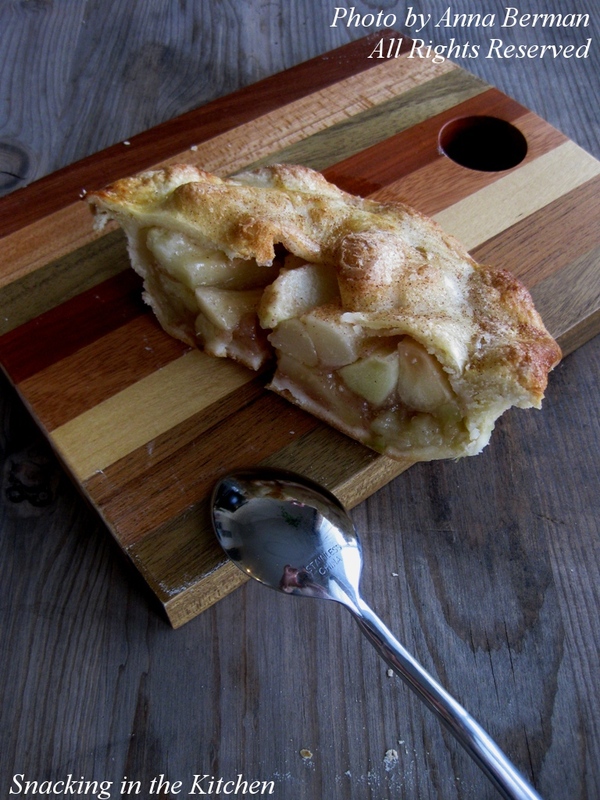 Have you ever been lucky enough to get a home delivery of pie? Let me tell you, it’s pretty fantastic! 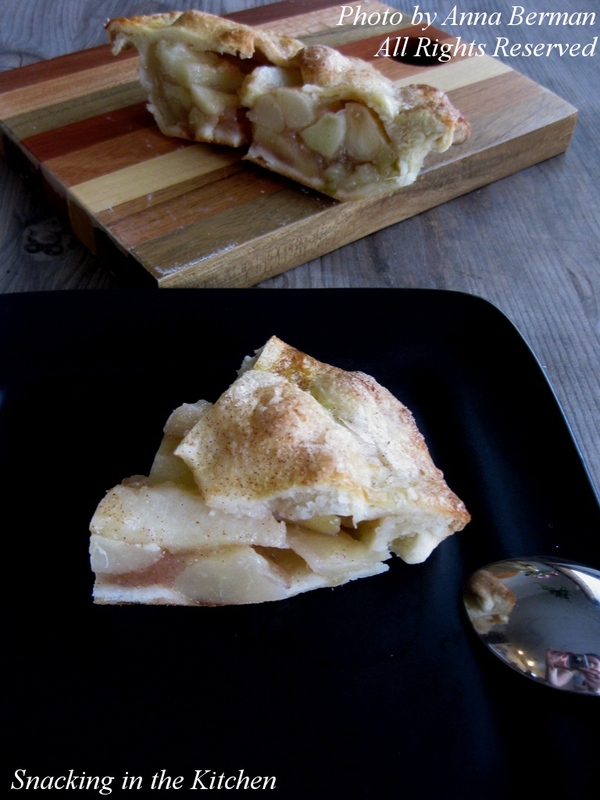 Last week, when I came home after a long day of Iron Chef Competition, I was greeted by a beautiful, individual Apple & Ginger Pear pie from A La Mode Pies. 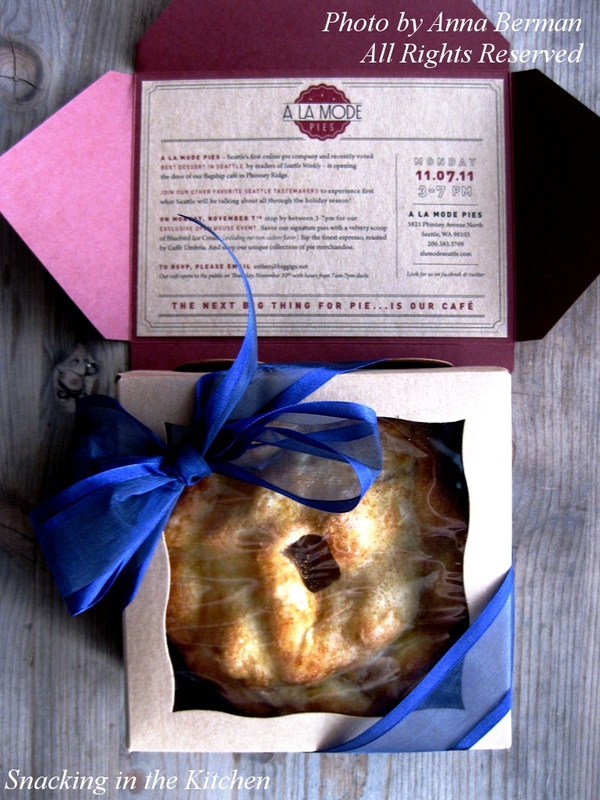 The pie arrived wrapped in a pretty box, tied with a blue ribbon and screamed to be consumed. I’m still surprised that I waited a few days to taste the sweet gift, perhaps my will power is stronger than I thought. The pie was served on Saturday morning, for breakfast. I followed the directions and reheated it in the oven at 350 degrees for 10 minutes. Then I popped it out of the metal pie plate, and stuck it back in the oven, upside down, for another 5 minutes to crisp up the bottom. I wish I had ice cream to go along with the pie. Can’t wait to try the pies yourself? You’re in luck! 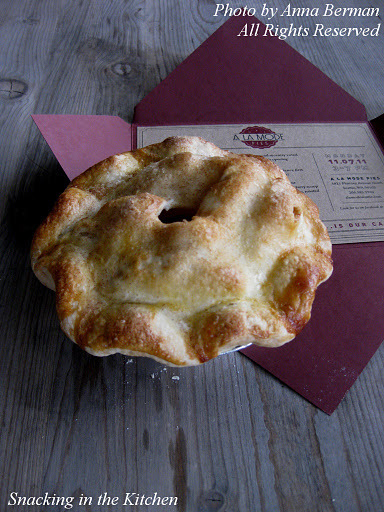 The Phinney location of A La Mode Pies officially opens on Thursday, November 10th at 7am. Bring your sweet tooth.